The world of coffee makers is wide and choosing one that fits your needs perfectly is usually very hard. In an attempt to make your search easier, we have discussed all the top-rated coffee makers in this list offered by Cuisinart. There is no doubt that the company has a great reputation in the industry and makes enjoying rich and delicious coffee, a breeze for anyone. For people who are looking for a great appliance that does not only work well, but also looks stunning, this list is a go-to guide. After doing a thorough analysis of your coffee needs, you can easily choose one model that is great for use. People have been witnessing constant advancements in the coffee industry. Manufacturers are consistently adding more features to their products in order to promote ease and functionality. However, buying the best coffee maker is never an easy task. There are numerous names in the industry that claim to offer the best products. One of these names is Cuisinart, which has over the years become extremely popular amongst coffee lovers. 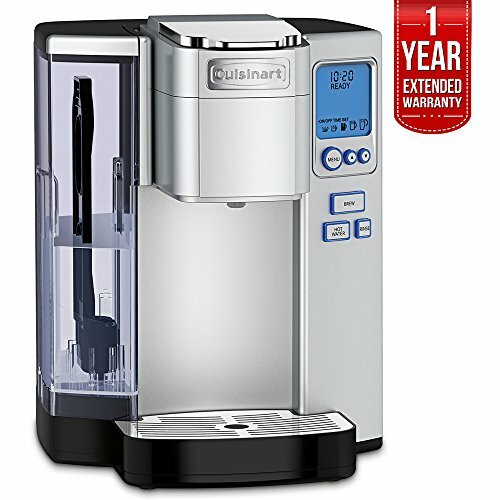 Cuisinart has established a strong name for itself in the world of coffee makers. Known for utilizing the latest technology, Cuisinart offers both affordability and practicality. It is an American brand that specializes in manufacturing technologically advanced appliances. While originally an independent entity, today Cuisinart is a proud brand of Conair. 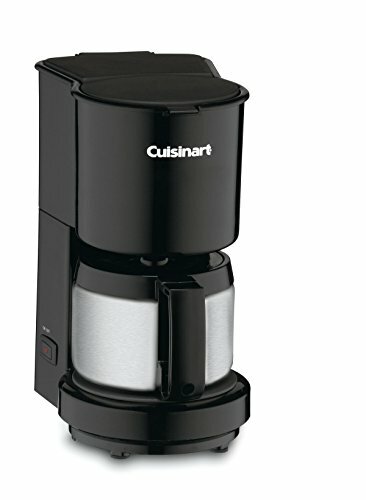 Coffee lovers around the world praise the unique combination of brilliance and reliability offered by Cuisinart. 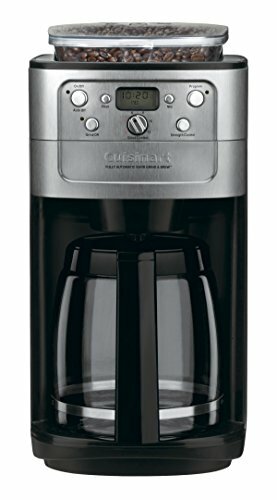 The coffee makers by Cuisinart are suitable for use in both, domestic setting as well as commercial one. There are thousands of coffee makers that you can find under this name which is why it can be overwhelming to choose just one. However, a little bit of research goes a long way. If coffee is an integral part of your daily routine, having a coffee maker around can make your life significantly easier. Luckily, there is a lot of work that the manufacturers of such appliances have put in to make the process of coffee making comfortable for consumers. Since you will be investing money into buying a coffee maker, make sure that you choose one that is best for your needs. Getting stuck with one that requires more work from you can be a hassle. To make the decision-making process easier for you, here is a list of the ten most functional and exquisite coffee makers offered by Cuisinart. With so many different options available it is natural for one to feel lost when buying a coffee maker. Before you go through this list, you should make sure that you have a clear idea about all your coffee needs. If there are more coffee drinkers in the house, you might want to go for a coffee maker that has more capacity. Once you have an idea about your daily habits and requirements from such an appliance, you can make the decision with more confidence. The top position on the list is held by a coffee maker that can be used for multiple purposes. This sophisticated appliance is fit for people who are looking for the ultimate convenience in their coffee maker. You can program your coffee maker according to your schedule and can rely on it to deliver you a hot cup of coffee when you need it the most. The appliance is thus, a trusted one that you can rely on for all your coffee needs. The carafe that comes along with the model has double insulation and is made up of stainless steel. All this ensures that you never have to worry about your coffee getting cold. If you have a lot of drinkers in the house, this one will suit your needs the best. The carafe can hold up to 12 cups of hot, steaming coffee. The grinder is one-of-a-kind and has enough capacity to hold beans that weight around 0.5 pounds. You can also choose the way you like the grind of your coffee beans. While all the other coffee makers only allow you to choose between the intensity of your beverage, this one will also let you control the grinding intensity. The charcoal filter will make sure that your coffee at the end is fresh and packed with exquisite flavors. Like every other appliance, this one also offers you the option of choosing the right strength for your coffee. 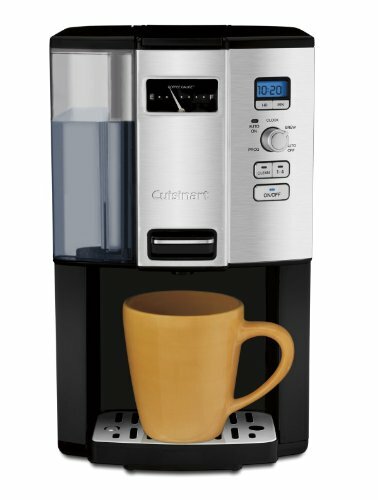 The next model on the list is the Cuisinart DCC 3200 coffee maker. This appliance is known for never compromising on the flavor of your favorite beverage. There is a temperature control option that lets you enjoy coffee at the perfect temperature. Unlike the first name on the list, this model has a carafe made out of glass that can hold up to 14 cups of coffee. You can brew coffee enough for the whole family or just for you. The entire coffee maker is made out of stainless steel which gives your kitchen a visually appealing addition. The control panel on the coffee maker makes functionality a priority. You can program the coffee maker for up to 24 hours and do not have to worry about checking up on it again and again. The gold tone filter makes sure that all the flavors are sustained and you can enjoy a flavorsome cup of coffee every day. The clean function of this coffee maker also makes maintaining the appliance an easy job. The auto-off option lets you save on energy costs. You will be amazed to see how fast you can get your desired cup of coffee as the maker works effectively. 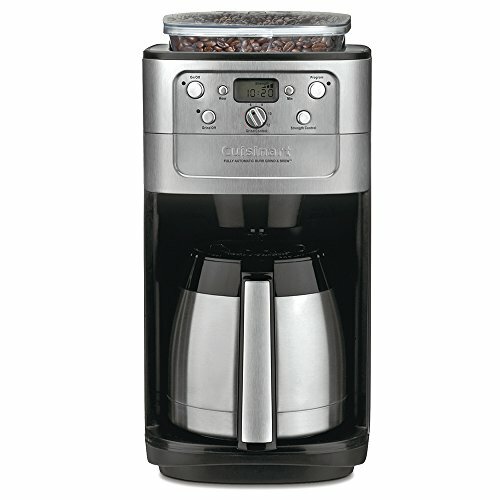 On 3rd place, is a coffee maker that is great for people who like to enjoy more than just coffee. Apart from flavorsome coffee, this model also lets you enjoy soup, tea, as well as hot chocolate. The single-serve option might not be suitable for families or people who like to make more than one cup of coffee in a go. There is a self-cleaning option that makes your life much easier since you do not have to worry about your coffee maker getting clogged. There are many great features that make this appliance a must-have for coffee lovers. The auto-off option will help you conserve energy as much as possible. Other than that, this model also has the temperature control feature which will help you enjoy rich coffee warm enough to please your taste buds. The brewer of this model is compatible with K-cup filters. The drip tray is large enough to accommodate your travel mug as well. The water reservoir is 72ounce which means that you do not have to worry about refilling frequently. The visual appeal of the appliance is undoubtedly spectacular. You do not have to worry about the appliance ruining the interior of your kitchen as the stainless steel body is exceptional to look at. The frother is an additional item that you can buy along with this coffee maker to make your beverage more versatile. Since this maker is not only restricted to making coffee, you can enjoy delicious hot chocolate and many more beverages along with this frother. Just like the model, the frother is extremely easy to clean and incredibly functional. This model is the earlier and cheaper version of the second item on the list DCC-3200. The metallic design and exterior of this model is incredibly pleasing to look at. The black and silver-tone give it a classic look. The charcoal filter is best at gathering flavors and giving you a rich cup of coffee at the end. The coffee maker comes with a BPA free carafe that can hold up to 12 cups of fresh coffee. Pouring from this carafe is convenient as there is no dripping to worry about. 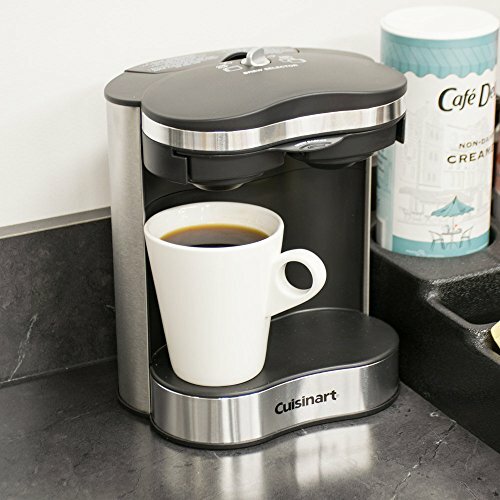 Cuisinart is known for combining class with functionality. The adjustable plate lets you keep your coffee at the optimal temperature throughout. With such a heating plate, you no longer need to worry about your beverage getting cold. You can let it sit on the counter for hours and still enjoy a delicious cup of hot coffee. There is an advanced brewing option that helps you start the process 24hours earlier. You also have a pause option in this model as well as the auto-on/off feature. All these key features on the coffee maker make it a truly convenient appliance to have around the house. The carafe is dishwasher safe and can be easily cleaned in a dishwasher. The main goal of this coffee maker is to promote flexibility and convenience. Greater control over the brewing process helps you make coffee that tastes exactly how you like it. The self-clean option does not require you to worry about the maintenance of the appliance and gives you the ultimate advantage. The coffee maker is comparatively cheaper than all the other models since it does not have a large, convenient display. Nevertheless, the look of this model is classy and unique. The fifth spot on the list belongs to another fully programmable coffee maker that combines convenience with modern technology. The stainless steel body gives the appliance a classic appeal. The carafe is made out of glass and has a handle to make it convenient to use. You get more control over the brewing process with different options and features. The carafe can hold up to 12 cups of coffee and is able to keep your beverage hot for about 8 hours. The clock on the display makes it possible for you to keep an eye on the timings of each step in the process. 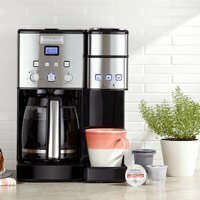 You can program your coffee maker to any setting you want and can even pause the brewing process in between to enjoy a fresh cup of coffee whenever you want. The charcoal water filter is great at combining different flavors and making them shine through your cup of coffee. If you are not in the mood to have a complete cup, you can choose the 1-4 setting to meet your needs. The next item on the list is the 450 BK 4-Cup coffee maker. The stainless steel body of this appliance makes it sturdy and long-lasting. The coffee maker comes in three great colors and can be used in almost any kitchen without compromising on the interior. The size of this particular product is compact, which makes it easy to adjust it in any corner of the kitchen. 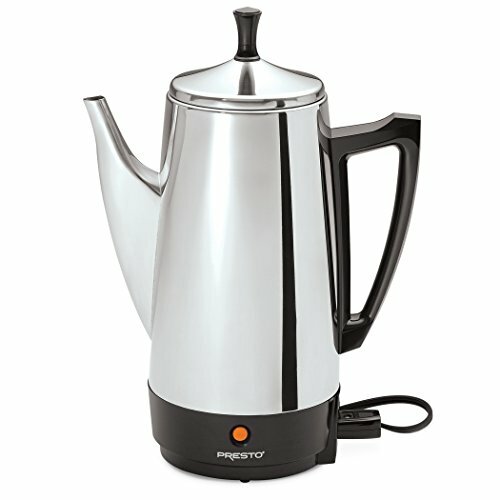 The carafe is made out of stainless steel and is therefore well built. Moreover, your favorite beverage, when in the carafe, will stay warm for long hours just because of the use of stainless steel. This particular model also offers a pause feature that can be used in the middle of the brewing process. There is also an auto-off option which helps you conserve energy and adopt green habits. When not in use, the coffee maker will turn off after 30 minutes of inactivity. As the name suggests, the carafe can hold up to 4 cups of coffee and has a unique visual appeal. The heating pad on the bottom of the tray further keeps your coffee warm and ready to sip. All in all, this particular model is perfect for individuals who like practicality and functionality when it comes to their coffee maker. There is an instruction manual that comes along with the maker which helps you figure out how to make the most out of your new purchase. This particular model by Cuisinart is truly exquisite as it provides a wide display with numerous options to choose from. The glass carafe is extremely easy to use and has a handle made out of stainless steel which increases its functionality. The carafe can carry 12 cups of coffee at one time which means that you can easily please a house full of coffee lovers with this economical appliance. That is not all. The multiple options on this coffee maker enable you to choose the strength of your beverage according to the needs of your taste buds. If you like your coffee strong, you can choose the ‘Bold’ option in the brewing strength category. The appliance is compatible with K-cup pods, which means you can choose a coffee of your choice when using this product. The gold-toned filter makes sure that the coffee you enjoy at the end is undeniably rich in flavor. The aroma-filled beverage is great at giving you energy and the caffeine kick that you need every morning. There are also single serving options which can be used by placing your cup on the right holder of the coffee maker. The sizes that are available include 6, 8, and 10 oz. If you are worried about how you will be cleaning this product full of features, there is a self-clean option that makes your life easier and more convenient. There is also a clock on the main display which helps you keep track of the brewing process and the entire appeal of the coffee maker is definitely classy. After the discontinuation of the classic DCC-2000 model, the 3000 Coffee-on-Demand product took its place. This coffee maker brings back the manual approach and lets you fill one cup at a time with a handy lever. The charcoal filter works phenomenally to bring the taste that you are looking for. The coffee gauge helps you monitor the level of your beverage to prevent you from running out. The water reservoir can be removed easily and is able to hold up to 12 cups of coffee. This reduces the need for refilling consistently. The cleaning process for this particular model is also very easy just like in all the other products offered by Cuisinart. The coffee maker is fully programmable and has an auto on/off option as well. The best feature of this particular model is the flow of coffee that you enjoy early morning. You do not have to wait for long till your cup gets filled. The exterior of this model is remarkably impressive, which is a great improvement when you compare it with the earlier version of the same product. The coffee maker is available at a reasonable price and is, therefore, a great appliance to have around the house. However, this particular model might not be for everyone. The fact that it has incorporated a manual feature tends to bother some of the individuals. Also, the fact that you cannot fit a carafe in the holder can significantly hurt the amount of coffee you can enjoy in one day. While it is able to hold 12 cups at a time, it might be better to switch to a model with a carafe if you have multiple coffee lovers under one roof. 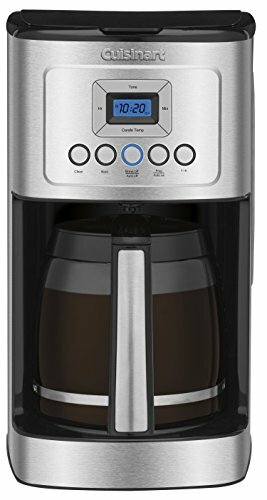 In case you wish to have the best coffee every day, this is a top-of-the-line coffee maker which can give you everything you have asked for. It would be incorrect to compare it with others on the list since it gives you a chance to have freshly brewed coffee in a very convenient way every day. Like many other products on the list, this also has the option of being programmed according to a 24-hour schedule.The charcoal water filter as well as the gold tone filter, both work together to give you a cup of coffee imbued with powerful aromas and a unique richness. There is an instruction booklet that comes along in order to make it easier for you to understand this powerful appliance. The glass carafe has a handle that makes pouring your coffee an easy job. The use of BPA-free materials is what makes it safe and healthy. You can fill up to 12 cups in the water reservoir and enjoy coffee all day long. However, what sets this model apart is its grinding capability. It is a well-known fact that the grinding process has a direct impact on how the cup of coffee tastes. You do not want a grind that is too fine and not one that is coarse. This is why the grind has immense significance. To make it simple, Cuisinart has made grinding easy with this product. You can monitor the entire grinding process on your own and enjoy the exquisite taste of freshly brewed coffee in the morning. You can decide what kind of grind you need for your cup by choosing from the different options available on the display. The knob for grind control gives you more freedom and control over the grinding process. The cleaning process is also pretty simple, which makes the product very easy to maintain. This particular model is considered to be a complete package for people who like to have absolute control over the coffee making process. The fact that it allows grinding to take place right in front of the drinker shows how much thought has gone into designing this product. This product is thus a state-of-the-art coffee maker, which definitely deserves a second look if you are a coffee enthusiast. The last one on our list is suitable for people who like to enjoy everything with a classy touch including their coffee makers. This coffee maker can brew 2 cups at a time and is suitable for commercial use as well. 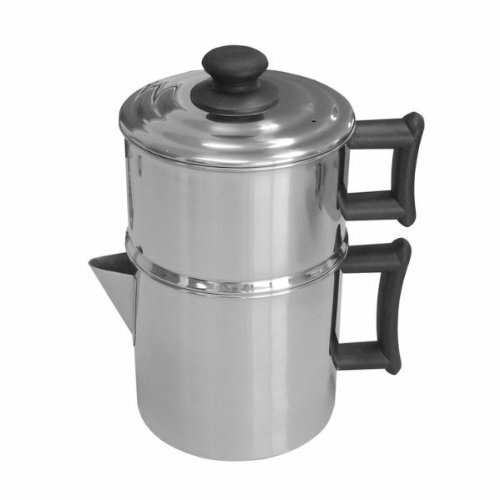 The French press coffee maker is all that you need for a cup of delicious and rich coffee. The design of the product is fairly simple and easy to operate. Nevertheless, the exterior is made out of sturdy materials. This coffee machine is a bit bigger in size compared to other compact models so you will create more space on your countertop to fit this visually appealing model. The reduced wait time when pouring a cup of coffee is a great feature that adds a lot of benefit to the coffee maker. Due to the functionality of this product, you will find it in many restaurants and cafes. The water reservoir is very convenient and you can fill it with absolutely no difficulty. The automatic shut-off option helps you save energy. The coffee maker is available at a reasonable price and can be used for personal as well as commercial purposes. Before you start going through the specifications of each model, it is recommended you get an idea about what you are looking for. Every individual has different needs when it comes to a coffee maker; hence, it would help if you figure out your requirements. As you will see later on, different coffee makers offer varying capacities. Some of them can hold up to 12 cups while others only 8. Thus, the first thing you need to understand is the need for coffee in your house. Of course, if you have a number of coffee lovers in the home, you want something that eliminates the need for constant refilling. 12-cup capacity is considered to be ideal for homes where there are multiple drinkers. Another factor to look at is the cleaning process of each coffee maker. The use of this particular appliance is greater than probably any other around the house. Therefore, you should make sure that you benefit from an easy cleaning process since you will not be able to do without this vital kitchen item for long. According to experts, a coffee maker that has a self-cleaning option is the best since it takes this responsibility off your shoulders. Some people prefer a stainless steel carafe while others like to keep an eye on the level of coffee in their glass carafe. You should decide beforehand what kind of carafe you are looking for. A stainless steel carafe, usually, is beneficial since it keeps the beverage inside warm for longer hours. Hence, you do not have to be in a hurry to drink up the coffee. Some models also have a heating pad installed in their coffee maker which makes sure that the coffee remains at the ideal temperature while it is in the carafe. This feature is comparatively new and is seen in the latest models only. If you are always in a hurry and want your coffee needs to be taken care of when you wake up in the morning, you might want to look for extra features. The 24/7 programmable coffee makers are great at following a schedule and providing you with a hot cup of coffee at the right time. The auto-on/off option is also great for individuals who are in a rush and only have time to grab the cup of their favorite beverage. Certain people also like to have more options in their coffee maker. These include the strength control and the pause option for the brewing process. When you know what features you want in a coffee maker, the decision to buy the right one becomes simple. Another important consideration should be about the size of the appliance. To come up with the right one, you should pay attention to the amount of space you have in the kitchen. Other than the kitchen countertop area, you should also keep in mind the interior of the room. While there aren’t many color options available, you should think which neutral colors would go well with the rest of the kitchen’s appeal. After you have done a detailed analysis of your needs and have a fair idea about what you are looking for in a coffee maker, you should be ready for the purchase. 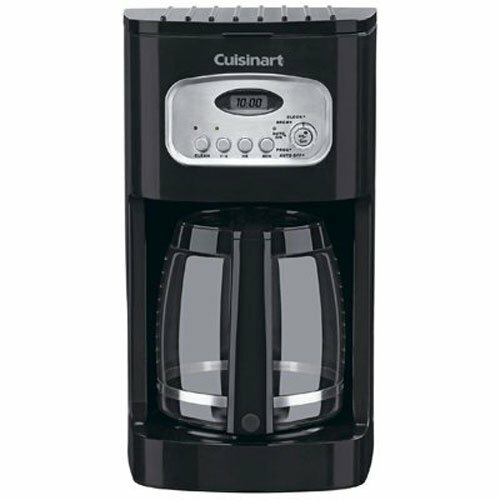 In this article, you will find ten of the best coffee makers offered by Cuisinart with various features. You will find that each model has something additional to offer. At the same time, since there are many similarities amongst them, you may want to keep the list of requirements handy when going through the specifications of each. This will help you make the right decision. However, before you decide on one particular model, you must read all the reviews available online and find out if it was able to meet your needs and requirements. With so many versions available, it is easy to lose focus and decide on the first one that seems to fit the criteria. Thus, it is important that you have a list of features you need in your coffee maker. This can only be done after thoroughly analyzing your own needs and wants. Once you have bought the right coffee maker, your life becomes much simpler. The availability of a hot cup of coffee every day makes you feel like you have a support system to fall back on. 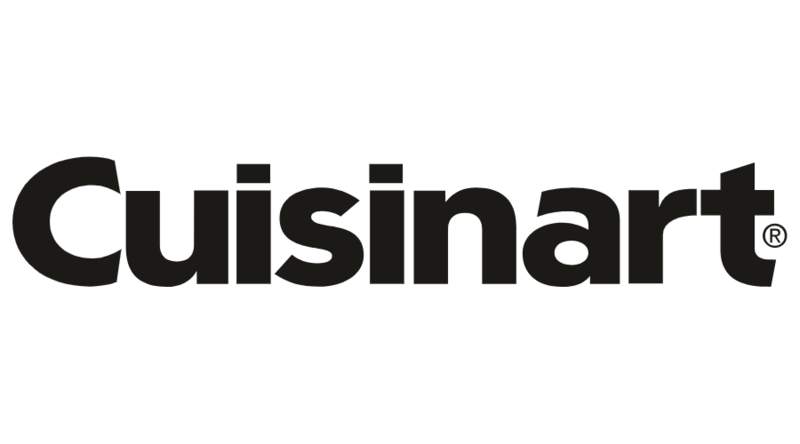 Keeping in mind the quality of products offered by Cuisinart, it is fair to say that you will not regret your purchase decision and will surely recommend others in your social circle to invest in the brand. As an avid coffee enthusiast, I know how difficult it can be to find the best coffee maker. With so many different varieties and styles it can often be confusing to find the one that’s right for you. Especially if you’re new to the coffee game. That’s exactly why I’ve designed Coffee Corner to guide you through the process and hopefully help you make a decision on what to buy.